"We've definitely reached a national tipping point in the fight against breed discrimination." As of Friday, Delaware has a new law that ends breed-specific legislation throughout the state. Governor John Carney signed House Bill 13 into law on Friday afternoon at the Delaware Humane Association. The law was signed amidst a bunch of the shelter's adoptable dogs, and happy animal advocates. 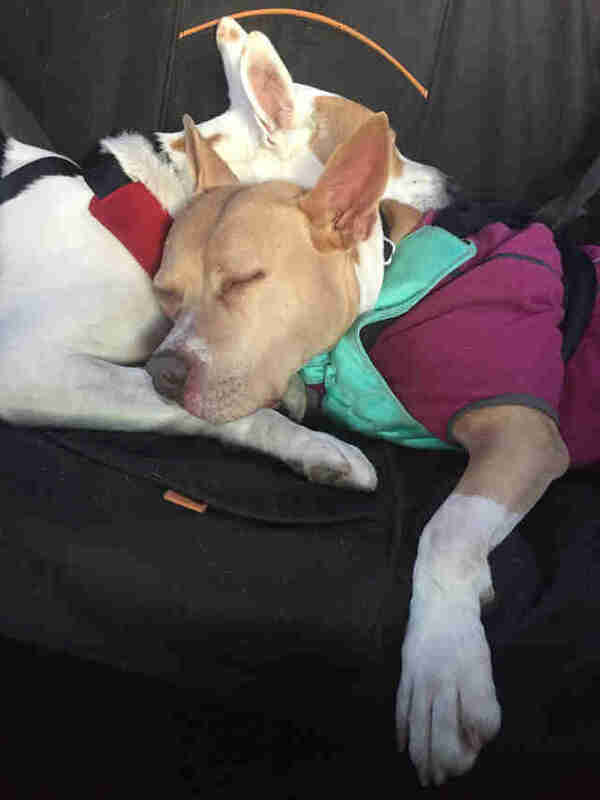 From now on, the state's cities and counties are prohibited from enacting or enforcing laws that ban or otherwise regulate dogs based on breed or appearance. Instead, dangerous dog laws from now on must focus on what's said to be the more effective approach: regulating behavior, of the dogs themselves and of their owners. “HB 13 is in the best interest of public safety,” Patricia Blevins, executive director of Delaware's Office of Animal Welfare, said in a statement. "It will ensure that laws are enforced consistently across the state, based on the actions of a dog or dog owner, and not a dog’s physical appearance." Delaware is now the 21st state to codify a so-called "preemption law." Arizona became the 20th last year. Utah, the 19th, enacted its law in 2015. This movement represents a very good turn, advocates say. "The Brandywine Valley SPCA is thrilled that Delaware has joined the ranks of states that have put an end to breed-specific legislation," the shelter's executive director, Adam Lamb, told The Dodo. 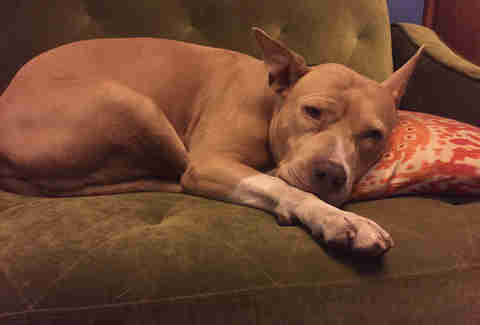 Breed-specific legislation — otherwise known as BSL — has been has been roundly criticized by groups across the board, from animal-focused organizations like the American Society for the Protection of Animals, the Humane Society of the United States, and the American Veterinary Medical Association, to the American Bar Association. These laws most often affect pit bulls — that is, dogs who belong to one of the pit bull terrier breeds, as well as mixes who share some of their physical characteristics. By relying on untrue negative stereotypes about blocky-headed pups, BSL has been found to create hardships for families and dogs without improving public safety. Here's how the American Veterinary Medical Association puts it in its position statement: "Any dog can bite, regardless of its breed, and more often people are bitten by dogs they know. It’s not the dog’s breed that determines risk — it’s the dog’s behavior, general size, number of dogs involved and the vulnerability of the person bitten that determines whether or not a dog or dogs will cause a serious bite injury." In fact, some areas that have passed BSL have found that their dogs bites have gone up — this has happened in Toronto, Ireland, and Sioux City, Iowa. It's thought this it because breed bans give people the false confidence that there are no potentially dangerous dogs around. There are still hundreds of cities and counties that unfortunately continue to enforce breed-based dog laws. Some, like Montreal, have even recently adopted BSL. But this kind of discriminatory dog regulation is, by and large, on the wane in North America. Delaware's new law is part of that trend. 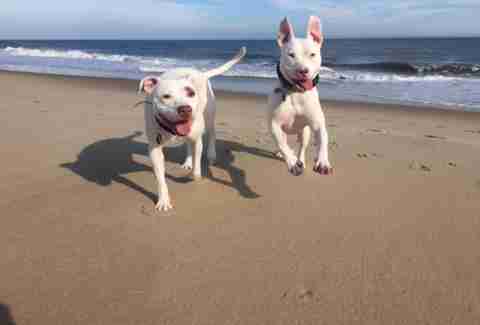 Delaware was already mostly free of breed-specific legislation before HB 13 came into effect. Patrick Carroll, executive director of the Delaware Humane Association, told The Dodo he thinks it's still an important piece of legislation. Aside from discriminatory laws, pit bull type dogs face challenges in many communities — for example, many landlords won't rent to families with pits. Housing problems are a major reason that dogs are given up to shelters, and prevent some people from adopting them once they're in the shelter. Carroll thinks that HB 13 might help change that. The new law, he says, "does set a tone" that may encourage Delaware's landlords to rethink their own breed restrictions. It could motivate families, too, to think less about breed when they look to adopt, in favor of factors like the dog's personality. All these shifts would lead to the happiest outcome: more shelter dogs getting into the homes they deserve, and more families living with pups they love. Carroll doesn't expect these shifts to happen instantly, overnight. But perhaps over time, the outlook will change, so "all the dogs are seen in the same way," he said. "Seen as equal regardless of their breed." Animal Farm Foundation has a regularly-updated map showing which communities have breed-specific legislation. You can also reach state and local lawmakers to encourage hem to act on the issue. You can learn more about fighting breed discrimination at Best Friends Animal Society, and donate to help fight Montreal's law against pit bulls.